The scientific reason behind encouraging early diagnosis of autism, and hence early intervention, is the fact that the brain development in early childhood years is fast and able to acquire new skills. It has been scientifically proven that late diagnosis results in unchanged IQ, however therapy is very important to hone social communication skills. Refer to the sources below. The other reason for supporting early diagnosis is allowing illegible children to access certain services, they would not otherwise benefit from. Early intervention can reduce the severity of the condition and prevent it from worsening. The Applied Behavior Analysis (ABA) is the scientific approach highly recommended, not only for kids with autism, but also for adults on the spectrum. 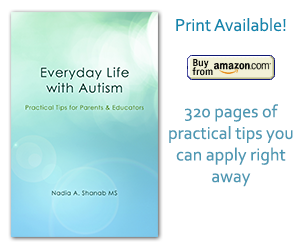 Parents can also be trained to help their kids at home by learning the tools and strategies of ABA. Even if you’ve missed the diagnosis at the first childhood years of your child, a later diagnosis (five and up) is still important. Therapies can always help at any age. As I currently write these words, there is no cure for autism available yet. However, ABA is the most effective treatment, beside other therapies like speech therapy and occupational therapy, depending on each case. The earlier the intervention the better the outcome.